We all have our favourite Aznavour song. For some, it could be all of them. Born Shahnour Vaghinag Aznavourian on 22 May, 1924, the French-Armenian legend died Monday morning at the age of 94 in the village of Mouriès, South of France. The internet burst with mementoes and grief. “France’s Frank Sinatra” was a lyricist, actor, activist and diplomat as well as a singer. And he was born in Saint Germaine des Pres, Paris on 22 May, 1924 to Armenian immigrants Michael Aznavourian from Akhaltsikhe, Georgia and Knar Baghdassarian from Smyrna, currently Izmir. With his unique tenor voice, Aznavour sold 180 million records and recorded more than 1200 songs over his eight-decade career. J’ai Bu was the first song he wrote, in 1950. He spoke and sang in many languages: French, English, Italian, Russian, German and Armenian. He also appeared in over 80 films, TV shows and theatrical performances. La Bohème is widely seen as Aznavour’s signature song. Cowritten by Jaques Plante, it was first recorded in 1965. The song is about a painter, recalling younger years when he was hungry but happy in Montmartre. According to Aznavour, this song is a farewell to the last days of bohemian Montmartre, a hill in Paris’s 18th arrondissement. Aznavour performed Charles-Francois Gounod’s Avé Maria with Italian tenor Luciano Pavarotti beautifully and spiritually. Another great friendsand collaborator was Spanish operatic tenor Plácido Domingo who often performed carols, medleys and duets with Aznavour. Aznavour was recognised as the century’s outstanding performer, edging out Elvis Presley and Bob Dylan with nearly18 per cent of the total vote. His fame started in the 1940s when France’s national chanteuse and widely known international star Edith Piaff took him with her on tour in France and the United States. In summer 2017, Aznavour was awarded the 2618th star on the Hollywood Walk of Fame. He last performed in Osaka, Japan on 19 September. President Emmanuel Macron paid tribute to Aznavour, calling him a man with a “unique brilliance”, while Armenian Prime Minister Nikol Pashinian described his death as “a huge loss for the whole world.” Aznavour was recognised with several honours and awards from both the French and Armenian governments over the past 25 years. He was heavily involved in French politics. During the 2002 French presidential elections when the socially conservative, nationalist Jean-Marie Le Pen of the National Front made it to the runoff vote, facing incumbent Jacques Chirac, Aznavour signed the “Vive la France” petition, and called on all French citizens to “sing the Marseillaise” in protest. Chirac, a personal friend of Aznavour’s, ended up winning a landslide victory, carrying over 82 per cent of the vote. Aznavourian never forgot his Armenian heritage. In 1976 the song Ils sont tombé, subsequently released in English as “They Fell”, written by himself and Georges Garvarentz, was released in memory of his ancestors who were massacred in the genocide. In response to the devastating 1988 earthquake in Armenia, which took the lives of 50,000 people and left 130,000 lost and injured, he founded the charitable organisation Aznavour for Armenia. Together with his brother-in-law Garvarentz, he also wrote the song Pour Toi Arménie, performed by a group of top French singers. The song topped the charts for 18 weeks. In the heart of Yerevan, a square was renamed after Aznavour. 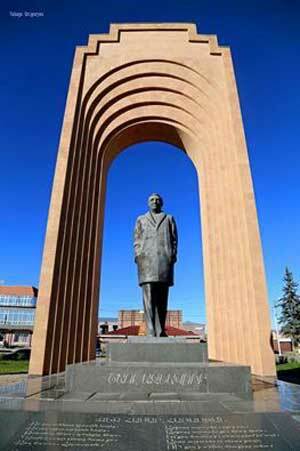 A statue of him was erected in 2000 in Gyumri, the second largest city in Armenia, where most of the lives were lost in the 1988 earthquake, by sculptor Samvel Petrossian. In 2014, here in Cairo, the Armenian community’s Arax Choir dedicated a recital to Aznavour’s 90th anniversary in which the chorus performed some of his best loved hits translated into Armenian for the first time by chorus conductor Mihran Ghazelian and Diasporan artist Berje Turabian. Aznavour was married three times. He had six children. His daughter Seta is also a singer who performed a duet with her father, written by Armenian poet and musician, troubadour Sayat Nova. The French Embassy in Armenia expressed its shock at the death of Charles Aznavour. 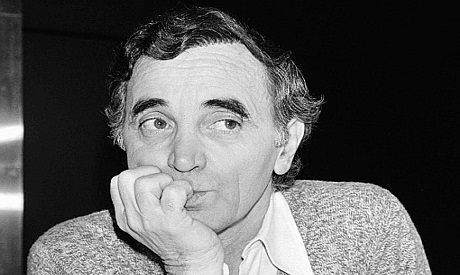 In a letter of condolences to his family and friends, the embassy stated, “During the worst moments, Charles Aznavour mobilised France as a sign of support for Armenia and supported the establishment of many ties between our countries. His art succeeded in all generations, and the songs crossed the borders making the French language accessible to all. 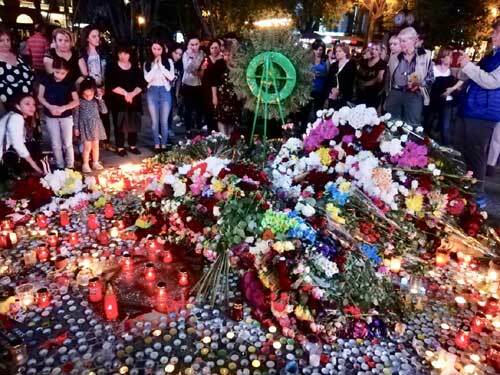 Until the newspaper went to print, the day of the funeral had not been declared, but Prime Minister Pashinyan stated that it will be a day of mourning in Armenia, where he had celebrated his birthday, most recently this May, in recent years. This man who brought love to many generations and brought pride to the people of France and Armenia was an avowed optimist. Although there was sadness behind his smile, although his eyes looked teary most of the time, Aznavour believed that, though we were born to die, “until then we should live our lives and make the most out of it”. In one of an interview he gave to an Armenian news site last May, Aznavour stated “I’m not afraid of death, I’m just happy I am living, I can see, listen and feel, I am enjoying the surrounding world.